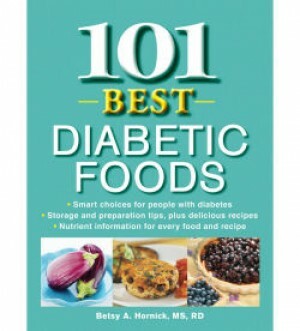 101 Best Diabetic Foods profiles a wide assortment of foods that can help make managing diabetes easier. 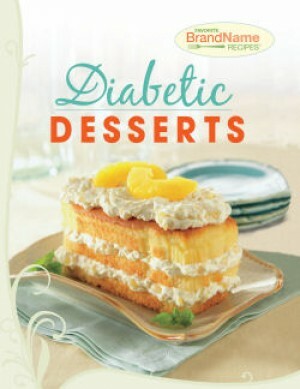 Many of the profiles also include a healthy and delicious recipe.Together, they make living with diabetes a piece of cake! 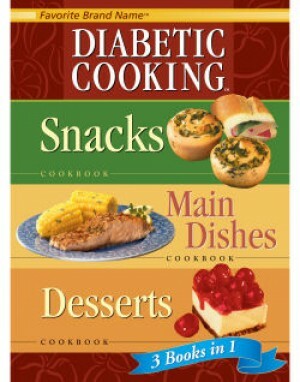 With this fabulous collection of four diabetic cookbooks in one,you'll find more than 170 satisfying recipes that are perfect for any occasion.Enjoy all your favorites---pancakes, pizzas, hamburgers, cookies and cake---and discover how delicious healthy eating can be! Each recipe has easy to find and easy to use nutritional information immediately following it. More than 145 fantastic full-page color photos. You'll find new ideas for everything from satisfying main dishes and vegetarian delights to healthy afternoon snacksand dreamy desserts in this dynamic collection. 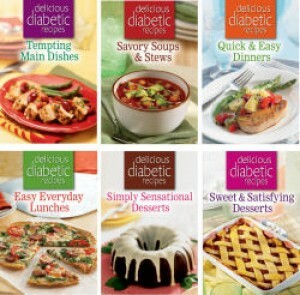 More than 150 exciting recipes are compiled in this collection, providing a diverse array of options when cooking for someone with diabetes.Plus more than 125 gorgeous color photos will tempt anyone to get cooking. Satisfy your sweet tooth with this collection of fabulous desserts---everything from Rich Chocolate Cheesecake to Apple-Cranberry Crepes.Indulge in delicious cookies, cakes, pies and more, all while staying within your meal plan---so be sure to leave room for dessert! There is no need to sacrifice! Now it's easy to eat healthy during the holidays! Celebrate the season and create new traditions with more than 75 deliciously festive dishes that fit into a healthful meal plan, from mouthwatering appetizers and elegant entres to dazzling desserts All recipes contain important nutritional information, including dietary exchanges. There's a delicious and sensible way to help control you blood sugar and your weight: Eataccording to the glycemic index. Choose from energy-packed breakfasts, scrumptious main courses, smart snacks and much more.The low glycemic index recipes in this cookbook will help you eat smarter and stay satisfied longer. One taste of Grilled Chickenwith Corn and Black Bean Salad or Glazed Plum Pastry and you'll agree---this is the kind of diet plan you can stick with for life! 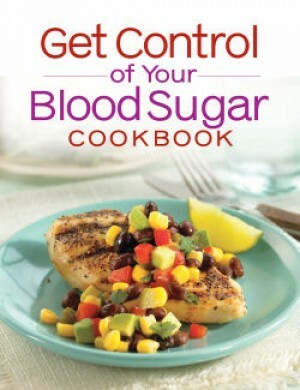 Managing blood sugar levels has never been easier! 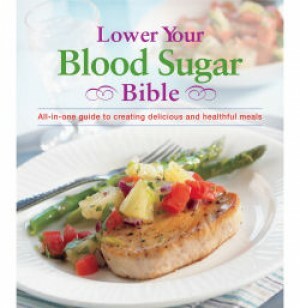 The Lower Your Blood Sugar Bible is the essential guide to maintaining a healthful diet and lifestyle through blood sugar control. You'll find more than 100 decadent recipes that are loaded with fiber and protein to help make managing your blood sugar levels easier. Nicole Johnson, MA, MPH, won't let anything slow her down. Johnson, who was Miss America 1999, is now a doctoral student and a recognized expert in living well with diabetes. 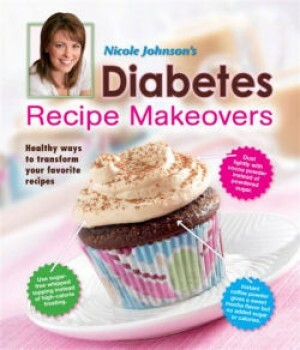 Nicole Johnson's Diabetic Recipe Makeovers shows you how to adapt your favorite recipes to fit into any meal plan. You'll find dozens of healthy recipes, along with tips on how each recipe was adapted. 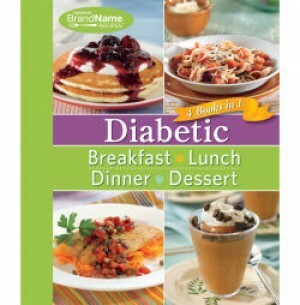 Chapters include breakfasts, main dishes, appetizers and sides, light lunches and dinners, ethnic entres, and desserts. More than 100 recipes, each with a full-color photo. 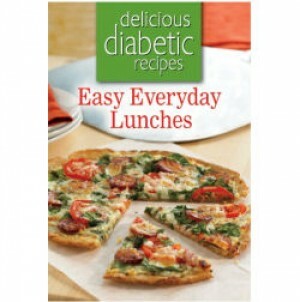 Each recipe features complete nutrition information and diabetic exchanges.